“Got any Amperex Bugle Boy 12AX7’s? | Building the Future of Augmented Humans with a Balanced Judgment, an Understanding of History and, above all, a Sense of Purpose. “Got any Amperex Bugle Boy 12AX7’s? Few weeks ago in New York I was interviewed by a New York Times journalist (article here) on a subject for which I have a great deal of passion, and KNowledge, hi end audio reproduction and specifically analogue generation hi-fi, tube amplification and high-efficiency speakers, which I design and build since I was 14. The interview lasted a while and we talked about audio technology evolution, recurrences in technological evolution paths, sound quality of tube vs transistor vs digital amplification, speakers´ designs and audio reproduction goals, and of course tubes (or valves). 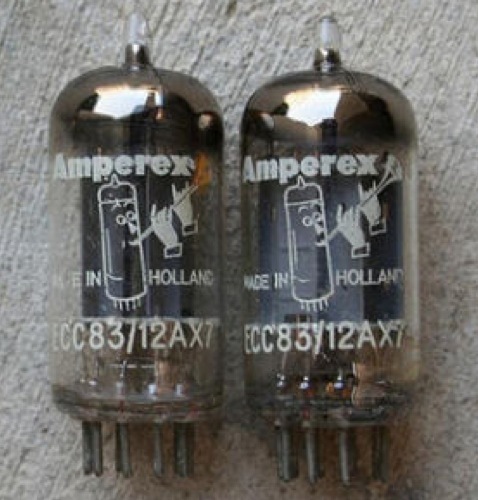 Apparently that discussion had no place in the article so my contribution has been reduced to one sentence ““Got any Amperex Bugle Boy 12AX7’s?, rather than being disappointed about it, I laughed with a friend of mine whom shares a similar interest, who commented, man if that was a movie, you would be the nerd with the greatest line in the scene, and I am happy with that .